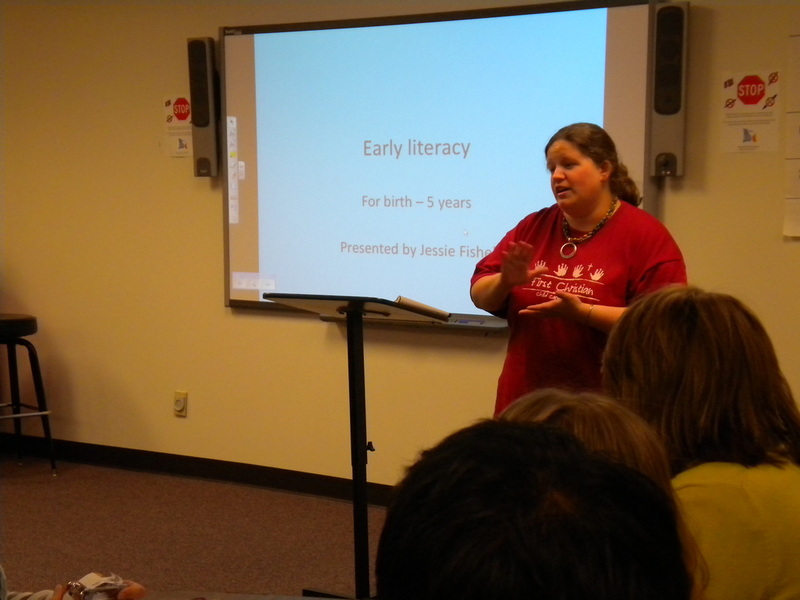 The presentation was on Early Literacy birth -5th grade and it lasted 45 minutes on Thursday October 20th. I presented to over 50 coworkers. Many of my coworkers used the training to not only help meet their state requirement of having continuing education training, but many of the employees are also University Central Oklahoma students in the undergraduate early childhood program. 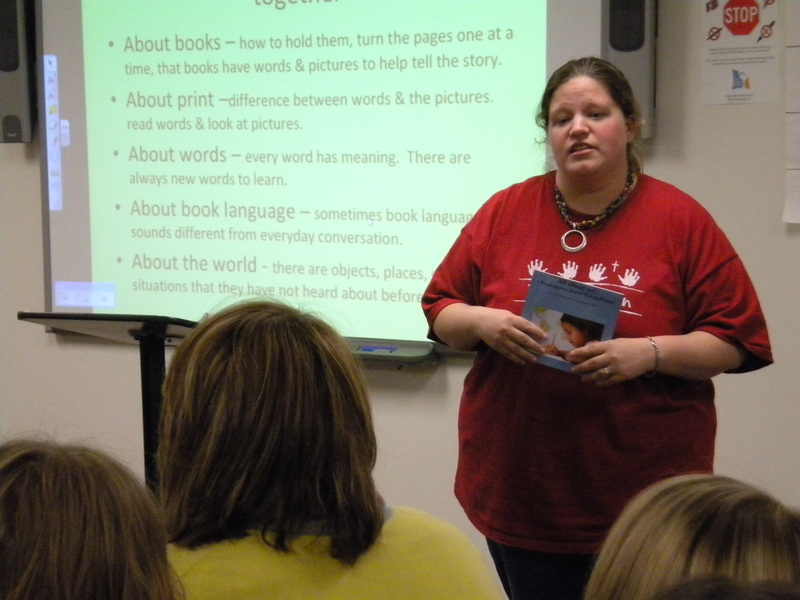 About 10 of those students were required to attend an “off” the campus professional presentation related to Literacy… and my training presentation met their professors requirements. 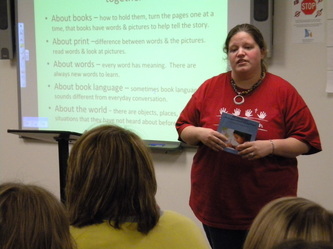 I enjoyed the presentation… the topic was easy to present about as I was passionate about the subject. Before I created the presentation, I wanted to gain interest for the presentation. 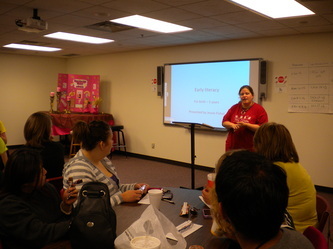 I asked each of the classroom lead teachers to help give me concrete examples of how the encouraged early literacy in their own classrooms to share with the group as a whole during the presentation. Many of the audience members have told me that they were able to take concrete examples from the meeting and apply them in their own classrooms. Three of my coworkers attending UCO’s teacher program come to my classroom and observe my kindergarten math and literacy learning centers to help meet their college observation requirements… and two other coworkers want to also make arrangements as well. 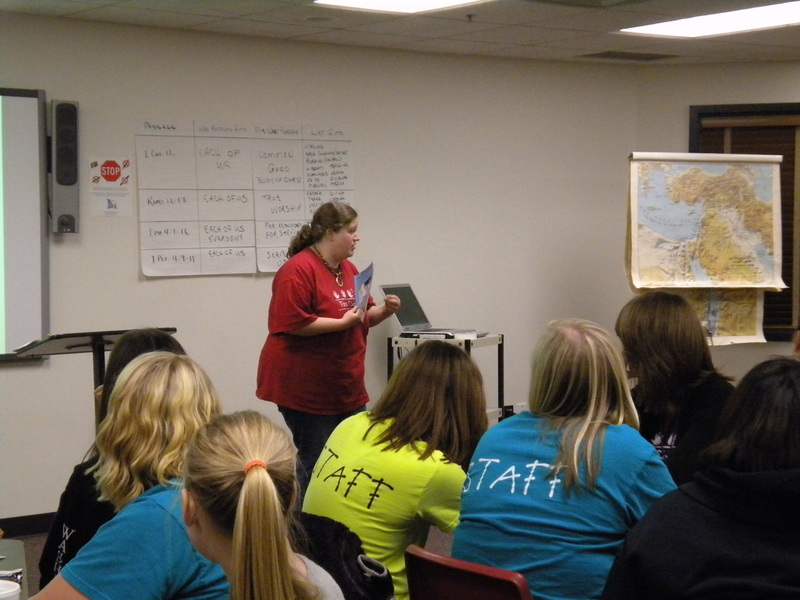 It has been a pleasure to be able to help young teachers-in-training the way I have been helped throughout the years. In the future I would love to have an opportunity to mentor more college students, student teachers, and new teachers. Goal #6: Graduates of this program should be able to demonstrate professional leadership skills and continued professional growth in curriculum and instruction. Of all the projects we completed during the C & I masters program, this presentation was my least favorite. It is nerve wrecking to get up in front of a large group of peers to present on a course, it is very different than the comfort I feel when teaching to a large group of children. The feedback was great from coworkers, but I still believe I have a ways to go in developing my professional presentation skills.